This Irish baby blanket could be used for homecoming from the hospital. 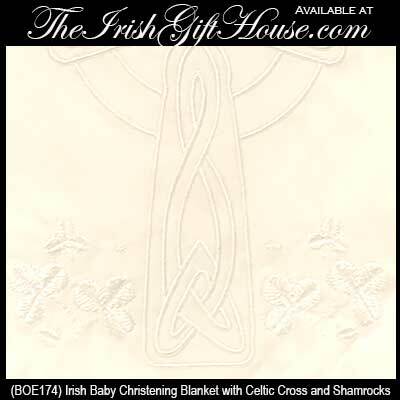 This Irish baby Christening blanket features an embroidered Celtic cross and shamrocks in each corner. 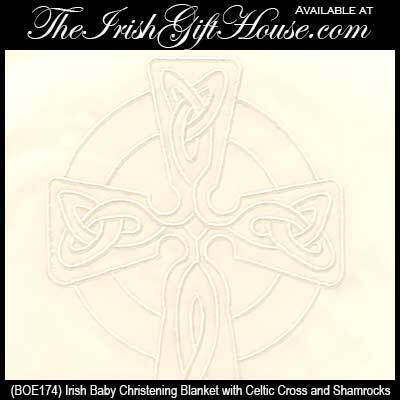 The soft 100% cotton Irish baby blanket features satin trim and a white on white design. 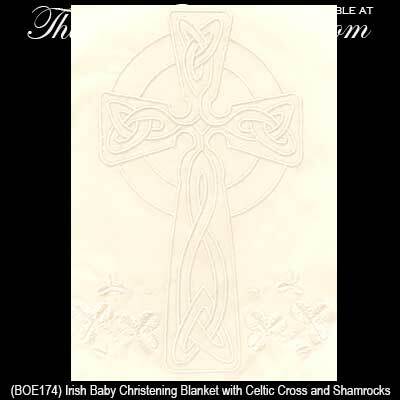 The Irish blanket measures 44” x 44” and is gift boxed with Celtic knot, Celtic cross and shamrock history cards, complements of The Irish Gift House.